I have been substituting healthier ingredients into my old recipes like agave syrup for white sugar and almond milk for whole milk. 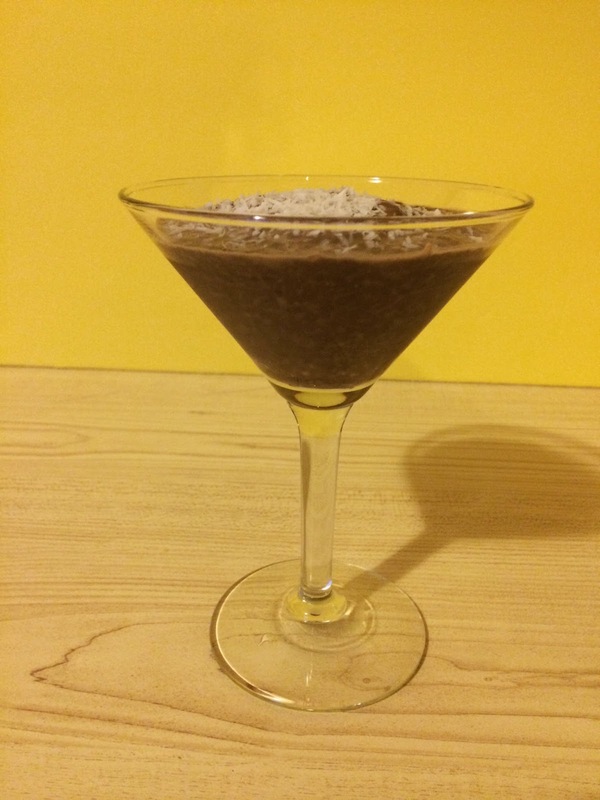 I recently got a chance to try Cacao powder so I decided to create a healthy chocolate pudding out of it. Cacao powder is so much better for you than just cocoa powder. Pure Natural Cacao is an Antioxidant Superfood Rich in Magnesium, Potassium, Iron, Copper & other Nutrients that can help keep you healthy.The minerals & flavonoids in Freedom Superfoods is highly alkalizing so it can help with sleep and energy. 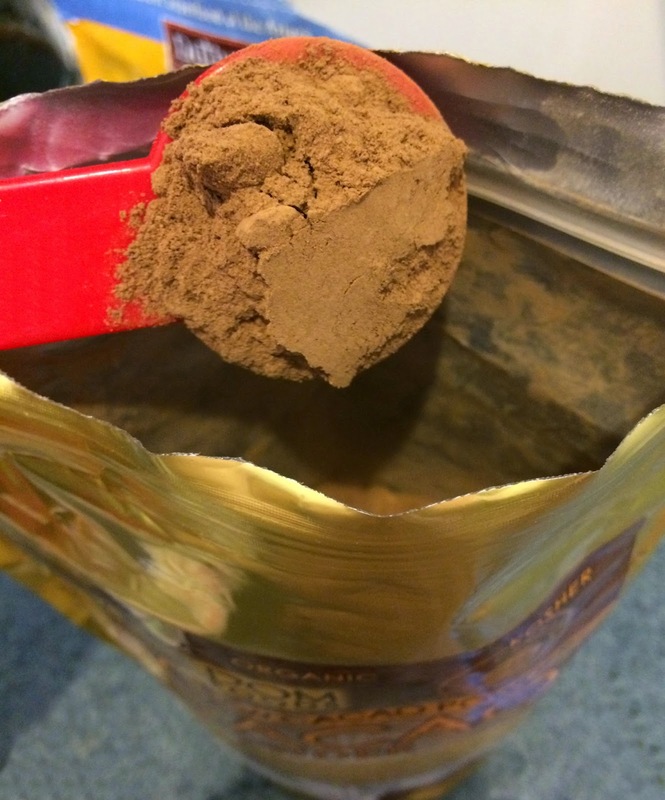 Some people who have tried the Cacao powder have noticed a decrease in appetite. Mix all of the ingredients except for the coconut flakes and agave syrup. I use a mason jar, cover it and shake it to mix. Place in the refridgerator for at least 6 hours. Drizzle in agave and mix. If you want it thicker place back in the fridge and let sit longer. Divide into two dessert cups and sprinkle with coconut flakes to garnish. That looks so elegant and delicious - not to mention so healthy. I just may try it! That looks so good! May have to try that out. That looks so yummy! I will have to give it a try some day! Dark chocolate have a lot of health benefits. This also looks like a great dessert. Looks So Yummy & Not Fattening I'm So There I Will Be Making For The Family!! Awesome! I could eat this all the time!! This looks good, but I'm not a fan of coconut, so I would just be eating the chocolate, lol. I have been doing the same thing! I have been taking out the unhealthy ingredients and making our meals more healthy. The kids have taken to it just fine. This looks great! How clever to use a mason jar! Plus I must say that the first picture really made me hungry. Looks good and I'm not a fan of coconut either. Chocolate is my fave! Can't go wrong with chocolate pudding. Looks delicious! That looks great, I will be sure to try this out. I have been trying to eat better so this will fit right in. You can't go wrong with dark chocolate and coconut!! Thanks for the recipe idea. I love the fact that it looks easy, and yet it's healthy. I might give it a try in the future. This does sound rather good. My mother is old school and uses this, just not the brand. I may just have to give your recipe a try as well. 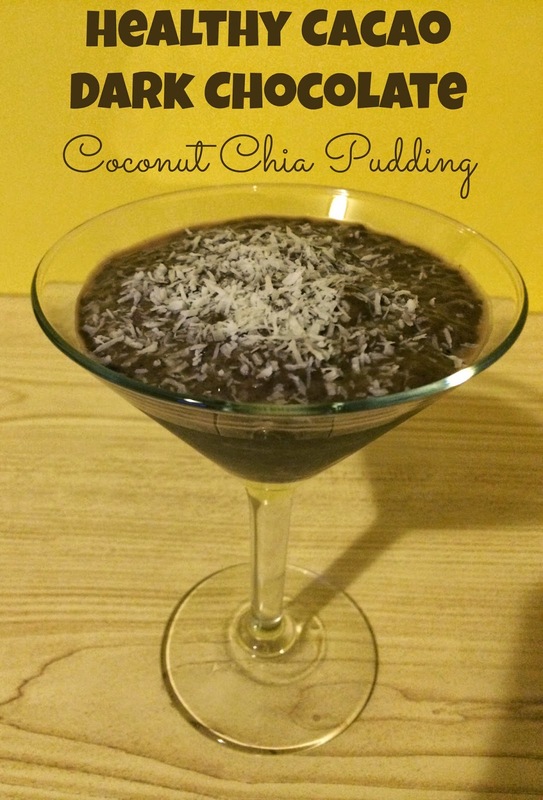 I really like the chia seeds in this! I may have to sip the same. You had me at resealable. I love when the containers are resealable! I'm certainly a fan of anything and almost everything with dark chocolate. Mixing it with coconut only made it better! That looks delicious. My little guy is lactose intolerant and drinks the almond milk so we will definitely try this. I love chocolate and coconut. This looks really delicious! I¨ve been replacing/downsizing white sugar lately too. Almond milk is very difficult to find here so I´m still using regular milk. Funny the difference one letter can make between cacao and cocoa powders. ;) I´ve only tried chia seeds in cookies so far. Always a good thing when you can find a dessert that is both healthy and tasty. And, hello...chocolate! 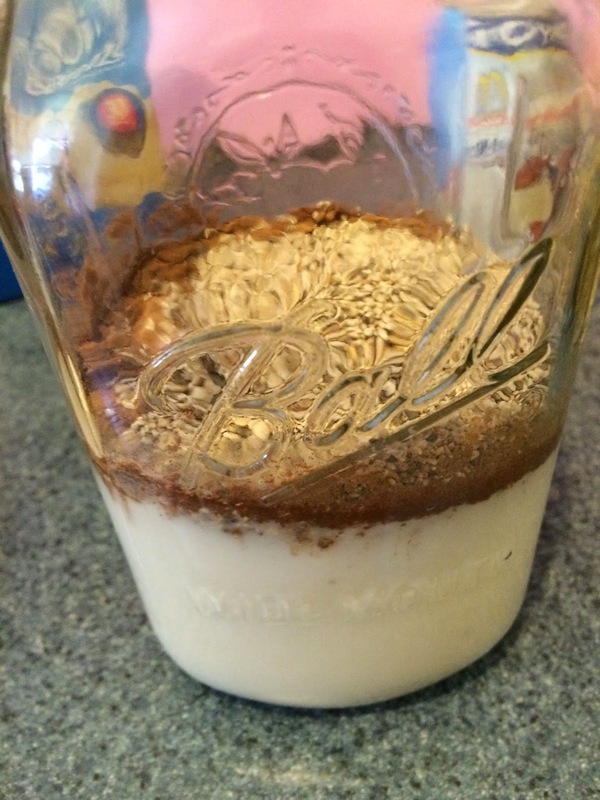 I have a bunch of mason jars and I love the idea of using them to shake ingredients. I usually mix in a bowl and make a huge mess. I have some chia seeds, but I think that I'd swap out for the stevia (maybe honey?). I'm trying to get the family interested in chia seeds, so far not winning though, maybe this will do the trick. This looks really good! I'm always looking for healthy and yummy recipes and drinks. I love dark chocolate and I want to be healthy, get way to get both. Thanks for posting! Paula C.